Join us on this 2.5 hour stroll through the French Quarter. 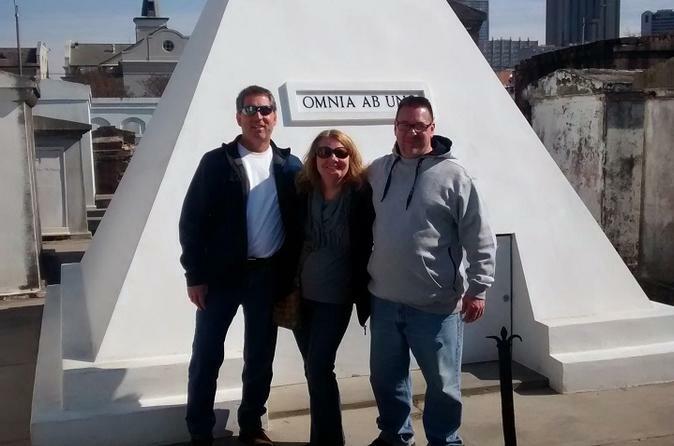 On this tour we will cover the history, culture, cocktails and much more of New Orleans and we will take a visit to St. Louis Cemetery No.1 where New Orleans Voodoo Queen Marie Laveau is buried among other interesting characters. Lastly you will visit the oldest cemetery in New Orleans, St. Louis Cemetery No. 1. In the City of the Dead where your guide covers the African culture, Voodoo religion, Music and the famous and infamous people that are laid to rest there.